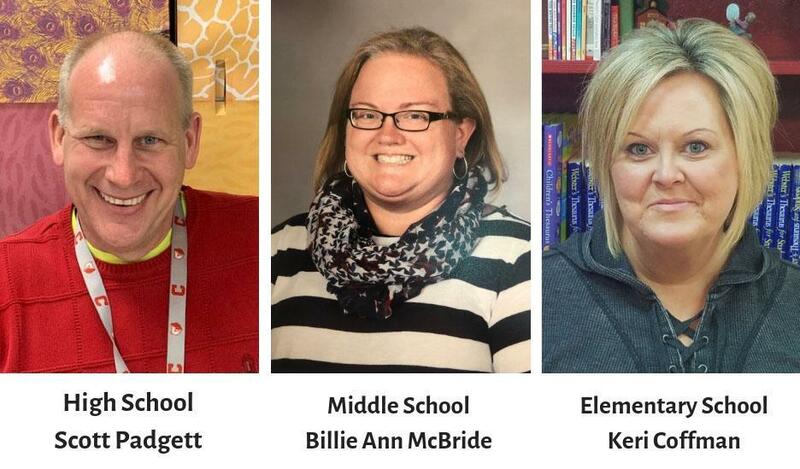 The Cheatham County School District has named three exceptional educators as the 2018-2019 District Wide Teachers of the Year. High school: Scott Padgett, Cheatham County Central High School English teacher. Padgett has taught for 25 years and has been with the district for four years. He earned his bachelor’s degree in English and master’s degree in Administration and Supervision from Austin Peay State University. Padgett taught at both Houston County High School and Montgomery Central High School before starting at CCCHS in November 2014. At CCCHS, he teaches 9-12 English and Creative Writing. He also serves as a teacher mentor and student tutoring instructor. He has been named the CCCHS Employee of the Month two times during his tenure. During his career, he has taken on many roles at the schools he has served. Middle school: Billie Ann McBride, Sycamore Middle School eighth-grade U.S. History teacher. McBride has taught for 19 years and has been at SMS since 2001. She earned her bachelor’s degree in History and master’s degree in Education Leadership from Austin Peay State University. During her time at SMS, she has served as the Social Studies department head and on the Faculty Advisory. She’s also been a teacher mentor and student teacher mentor. She was named the Cheatham County Education Association’s Teacher of the Year at SMS in 2015. She has served as a Camp Leader Volunteer for Cheatham County 4-H, a Girl Scout Troop Leader for Troop 189 and a Youth Educator for the Cheatham Achievers program. Additionally, she coordinators the annual eighth-grade trip and formal. Elementary school: Keri Coffman, East Cheatham Elementary School fourth-grade teacher. Coffman has taught for 18 years and has been at ECES since 2001. She has taught second, third and fourth grade during her career. She earned her bachelor’s degree from Austin Peay State University and her master’s degree from Jones International University. During her career, she has led many committees at ECES and is involved in the school’s successful Leader in Me program. She has served as a district and school-level mentor teacher. A Level 5 teacher, Coffman has been named the ECES Teacher of the Year twice. She is also a parent volunteer with the Sycamore High School band. 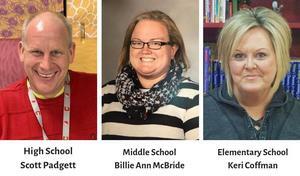 All of the teachers will be recognized at a banquet in May.